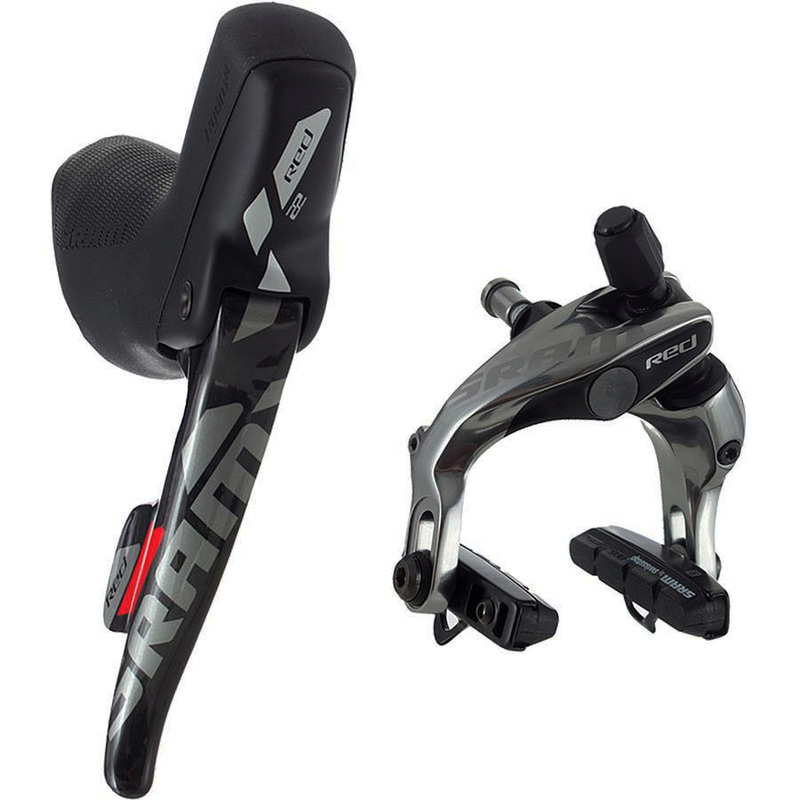 The SRAM RED 22 ErgoDynamic Shifters continue SRAM's philosophy of perfecting the interface between rider and bike. For SRAM's top-shelf RED 22 series, everything was scrutinized, including the transition between handlebar and hoods, the grip texture, finger wrap, and the separate interfaces with both the shifter and brake lever. The result is an extremely comfortable, highly individual fit that makes the shifters feel like a natural extension of the rider. Individual Reach Adjust of brake and shift lever, now easier to access and uses a standard hex key, puts the controls exactly where you want them. Larger carbon ErgoBlade lever improves shifting from the drops. ZeroLoss shifting shifts engage immediately. New clamp system allows better fit and adjustment for modern carbon and ergo bars.